Balancing the need for performance and compatibility. 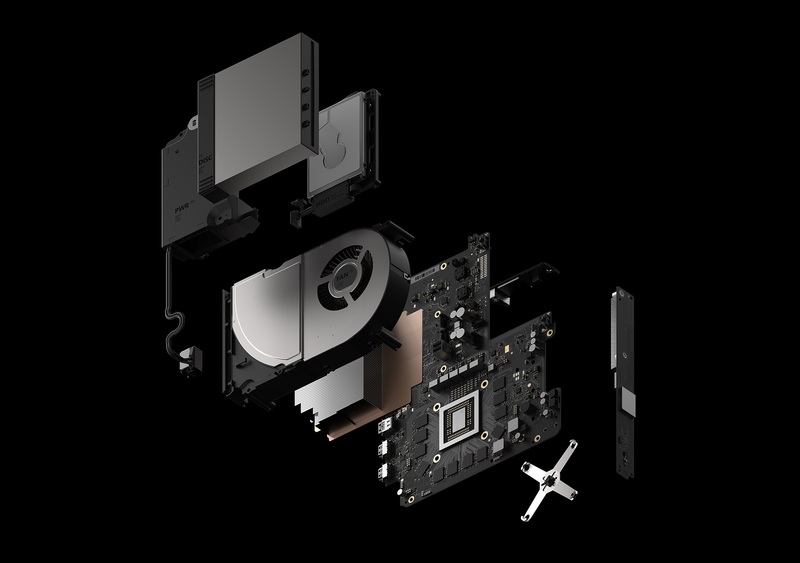 The Xbox One Scorpio makes some dramatic changes to the memory pool and distribution in the Xbox One, going from a split 8GB DDR3/32MB eSRAM to a unified 12GB GDDR5 RAM pool. When Microsoft made the decision to remove eSRAM, were they not worried about breaking compatibility with the existing Xbox One? On the other hand, while the memory has seen the most thorough improvements, the CPU looks to be the big bottleneck for the Scorpio- at least in relative terms. People were hoping for a more sophisticated CPU in the Scorpio than is in the PS4, PS4 Pro, or Xbox One- however, it looks like we are stuck with the Jaguar, albeit slightly configured to keep up with the rest of the machine’s improvements. “So, eight cores, organized as two clusters with a total of 4MB of L2 cache. These are unique customized CPUs for Scorpio running at 2.3GHz. Alluding back to the goals, we wanted to maintain 100 per cent backwards compatibility with Xbox One and Xbox One S while also pushing the performance envelope,” said Nick Baker. It makes sense- the Scorpio is not a next generation machine, it is meant to be a more enhanced Xbox One. Compatibility with the existing machines was ultimately still a paramount concern. The Scorpio launches later this year.